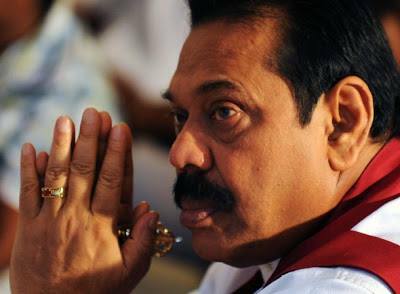 Mahinda, you ask us to vote for you on the claim that you have defeated terrorism and you have given us roads. Yes we agree that your claim is well founded. Yet we have numerous other questions for which we are desperate to get answers before deciding to vote you in for an unprecedented third term. We cannot do it just because Dayan Jayatilieka says that you deserve a third term. He has lost our respect a long time ago. We held him at high esteem during the time he showed his ability to defend Sri Lanka at UN battles. His greed for positions at the cost of his self-esteem and dignity has made us change our minds. So whatever he says holds no water for us. We cannot elect you just because Tissa Attanayake sided with you. In our view Maithridid not defect but formed a new alliance for him to lead. Both Tissa and Rajitha have defected, one to the old alliance and the other to the new. We do not believe either of them. On the part of Tissa, one day he cried and swore that he would stick with one party and he smiled and defected to another on the very next day. No decent fellow can follow him. Now that he has been offered the Health Ministry, is it not a bribe? In fact this could even be against election laws. Someone called Mahindapala is writing in your favour. His stuff is all about Chandrika and Ranil, not about Maithreepala. Besides, his style of attacking people is disgusting. We cannot learn anything from such a malicious man. You call Maithri a puppet. That is not good enough reason for us to choose you. In this sense, your entire government is full of puppets. They do not have views of their own. It has always been your view they represent. Nonetheless, if you can answer our questions properly and defend your case we may still support you. Is it true when people say that you give your immediate family, your extended family and your friends undue responsibilities in the government, in the local government structure, in the Foreign Service and in many other areas? Is it true when they say all your Ministers have complained, secretly obviously, that they have no freedom to administer their ministries as you and your brothers dictate terms to everyone? Is it true that there are plenty of people in your party wanting to cross over for that reason but they have no guts and they fear losing perks? Finally has Rohitha paid for his own ticket to Katmandu? If you have paid his ticket with public money, is it ethical, legal or acceptable?